Clearly, Simpson has made the most of her two appearances. 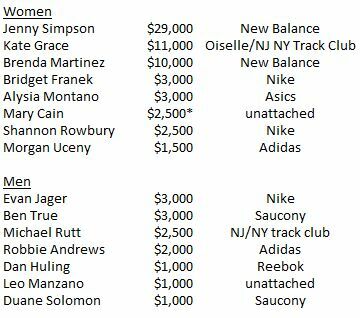 If you break the money down by sponsor, New Balance has carried the day. The data do not include appearance fees. 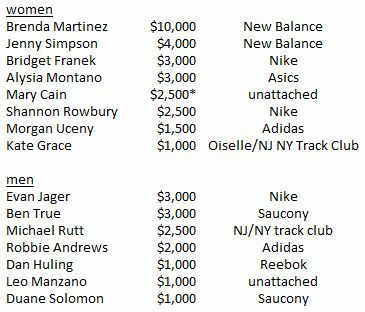 Note also that Cain won’t actually receive her money, as it would muddle her college eligibility. We’ll expand the list as we get data from more meets. 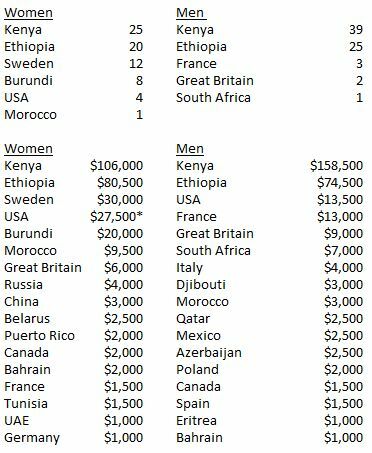 Here are some charts on Diamond League points and earnings by country for distance events, updated to reflect the results from the meet in Rome yesterday.